Want to know which cheap conservatory will be best for you? And how to save money on furnishing your conservatory? Find everything to do with cheap conservatories, furniture and reducing costs as much as possible in this article. How much does a cheap conservatory cost? 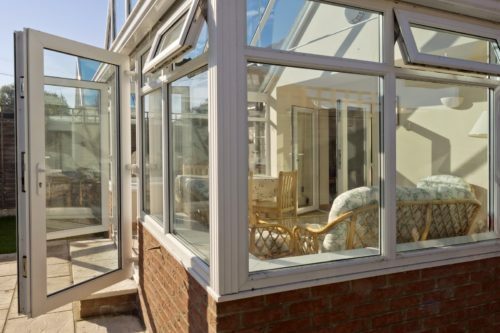 If you look at the general overview article for conservatories, you will see that lean-to conservatories are the cheapest by far, starting at £2,200 when you install it yourself. However, this is not realistic for many people. The following prices include VAT and installation and act as a guide for you on your search for cheap conservatories. You can also buy DIY lean-to conservatories that start at £1,800. However, you will have to factor in construction costs as well as the time you spend erecting the structure. As a non-professional, this will take you longer to do and there is always the possibility that you make mistakes. It is up to you to assess your skill levels and how much you value your time. Cheap Conservatory: Lean-To Is The Way To Go! Why are lean-to conservatories the cheapest alternative? 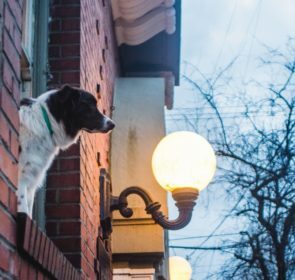 How could they benefit your home in other ways? Here are the answers to all of your questions! Yes, lean-to conservatories are space-savers. Due to their rectangular or square shape, they allow you to have full access to the space they offer. Since they are generally smaller than other conservatory styles they will save you money on heating, decorating and cleaning. For instance, you can choose a dwarf wall or top-to-bottom glass panels for the siding. If you don’t mind doing a bit of construction and want some more structural stability, dwarf walls may be for you. Full-height glass panels, on the other hand, will allow more light and warmth to enter your home. You can also choose different construction materials to suit your aesthetic or environmentally-friendly needs. You can build them yourself! Nowadays, many people enjoy doing their own home improvement projects around the house. This is also true for conservatories! Some will need an expert’s help for building a wall. It could, however, be entirely within your reach to buy a few tools and build the whole thing yourself! This will involve some effort and learning, it can be a great experience to add a feature to your home. Extremely satisfying to say the least. Conservatories are amongst the most expensive structures that you can add to a home, so discovering how to find cheap conservatories could save you tons of money. Our customers have saved up to 40% on their home improvements when they compared through us. 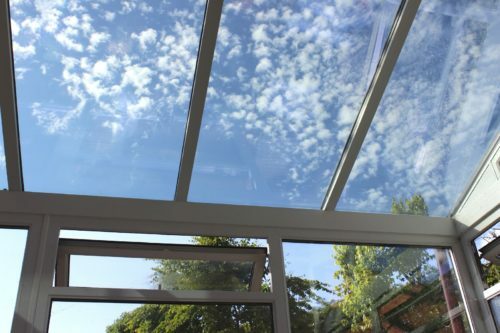 A 40% discount on a £6,000 for a cheap conservatory amounts to £2,400 of savings! Wouldn’t you rather spend that money on decorating your sunny new space? Simply click here, enter some basic information and receive up to 4 quotes from reputable conservatory salesmen. This is a fairly obvious one – go to as many garage sales, car boot sales, and liquidation sales as you can in the run-up to your new conservatory being installed. The more time you spend looking, the more likely you are to find quality items for a low price which will fit your aesthetic – all important considerations you don’t want to compromise on if you don’t have to! Nowadays you don’t even have to traipse around a car boot sale to find cheap items for sale! You can look on your local free and for sale groups on Facebook, and visiting eBay, Craigslist and Gumtree is a good idea too. You can also find inspiration for DIY projects on Pinterest, they have tons of cheap furniture and upholstery ideas there! 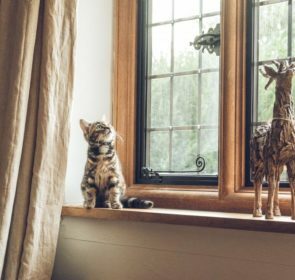 While many charity shops are too small to accommodate furniture, you can find small, nifty decoration items for your conservatory in second-hand shops. And in big charity shops, they might have the furniture you need! You just have to ask. This is an excellent way to feel even better about your decision to use second-hand items. Not only do they cost less, but you are also helping out a great cause! Perhaps someone you know has an old sofa or side table they are no longer using and might be able to donate to you! This is probably the cheapest way of finding conservatory furniture, but it will all be mismatched – which can be a beautiful style choice if that’s what you like! While enthusiastic DIYers will jump at the idea of renovating old furniture, not everyone is, so think about your options carefully before agreeing to relieve someone of their old items. If you live in a university town you may have noticed that around June and July, all sorts of stuff will be set outside of student digs. These items are just waiting to be picked up by whoever wants it and has a car to haul it away! If you have the time to wander around you will most likely find perfectly functional furniture – but try to get it before the rain comes! 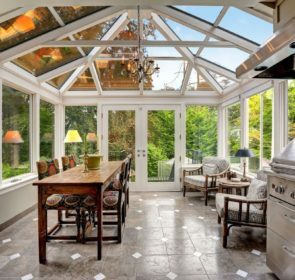 Finding the perfect conservatory for your need isn’t easy, but it doesn’t have to be hard! 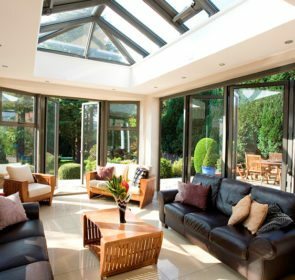 Compare quotes from up to 4 local providers so you can find the cheap conservatory of your dreams. Our free and no-obligation process ensures you are satisfied. Compare their profiles and reviews to find the perfect conservatory provider near you! Local providers are better equipped to give you a great deal. It’s up to you to find them and start enjoying the warmth of a conservatory as soon as possible.